Watch New Girl Season 5 Episode 22 online via TV Fanatic with over 6 options to watch the New Girl S5E22 full episode. Affiliates with free and paid streaming include Amazon, iTunes, Vudu, Netflix, YouTube Purchase, and Google Play. 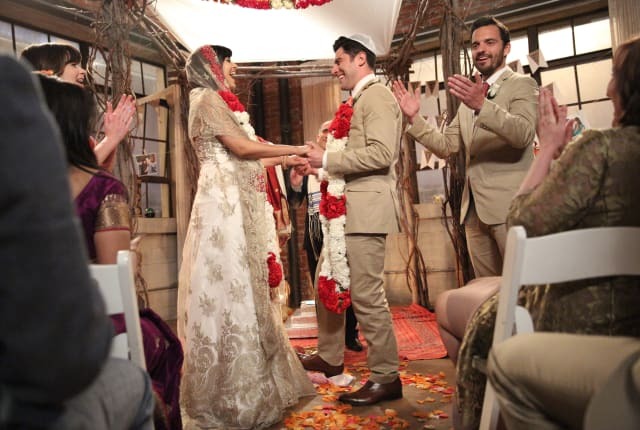 On New Girl Season 5 Episode 22, in trying to get CeCe's mother to attend the wedding, Schmidt might just miss it himself on the season finale. I'm flying to Portent to try to get Cece's mom to come to the wedding. Permalink: I'm flying to Portent to try to get Cece's mom to come to the wedding. Yeah, I'm counting down the minutes till I can get in that guys pants. Permalink: Yeah, I'm counting down the minutes till I can get in that guys pants.